6. Only John relates Jesus’ encounter with a hostile crowd on pages 146-147. Why did they want to stone him? 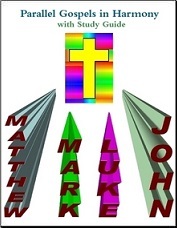 John gives us more information than the other Gospels about who Jesus really is. (John 10:33; compare John 1:1, 10, 14; 3:16; 5:22-23; 8:58; 14:21, 23; 15:15) What do we learn from this? 7. How does the parable of the one lost sheep on page 153 help us appreciate God’s love for us? 8. How does the parable of the prodigal son on pages 153-155 help us see God’s attitude toward sinners who repent?